Takeaway coffee cups have always been difficult to recycle due to the plastic coating on the inside. However, modern advances in recycling technology have made it possible, along with recycling juice boxes and milk cartons. South Africa’s paper recycling rate has risen to more than 68%, diverting over 1.4 million tonnes of paper and packaging from landfill. This is about 10% more than the global average for paper recycling. Like anywhere in the world, there are only a handful of specialised recycling facilities that can process used coffee cups, which means that the vast majority of disposable cups end up in a landfill. In the UK, 99,75% of their coffee cups don’t make it the recycling facilities. It is estimated that some 500 billion coffee cups are produced annually around the world, and each cup takes about 50 years to break down and decompose. This volume of long-lasting paper and plastic is a hazard to the environment. In South Africa, only 11% of people claim to recycle constantly, according to the South African PET Recycling Company (PETCO). Recycling paper actually boosts the local economy as provides income for waste workers and informal collectors. The paper recycling industry accounts for around 37 000 jobs in South Africa. Some local coffee stores have started recycling coffee cups, but only if the customers dispose of the containers in the store. The cups that end up in household recycling or street bins will usually end up in a landfill. Many coffee shops and takeaway cafés, such as Seattle Coffee Company, sell reusable cups that people can bring back or use at home. This encourages customers to use a more sustainable container for their favourite hot beverage. Although this can be an expensive once-off purchase, many coffee shops offer discounts or incentives for customers who use reusable cups. Compostable coffee cups are also available, but these need to be discarded in compost bins which may not be possible at work, for example. Many cafés also don’t use compost bins and so there are limitations to the more eco-friendly alternative cup. Another problem with compostable coffee cups is that they can contaminate an entire batch of recycling if they are put in the wrong bin. They are designed to decompose easily and so are not suitable for the recycling facility. It seems that the most suitable way forward is two-fold. 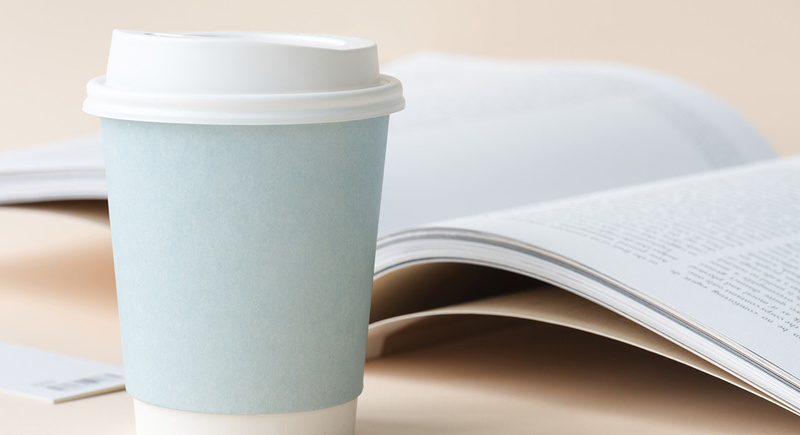 Paper coffee cups should be recycled as much as possible, but this depends on the limited number of facilities and their capacity to handle paper cups. The second most sustainable way to get your cuppa joe is to bite the bullet, purchase a reusable mug and take it to your local café everytime you want a hit of caffeine.